Although Silicon Valley may lead the way in terms of unique big data projects like Hadoop reporting, a number of other enterprises have started to jump on board. Now that it’s no longer confined to just technology, big data is constituent to offering solutions to challenges the insurance industry has been facing in recent times. At the industry’s core, an underwriter evaluates the risk of offering insurance to an individual and determines a premium based on several factors. The use of claims data, financial data and risk data will cover nearly ever major decision a company can make for its clients and itself. 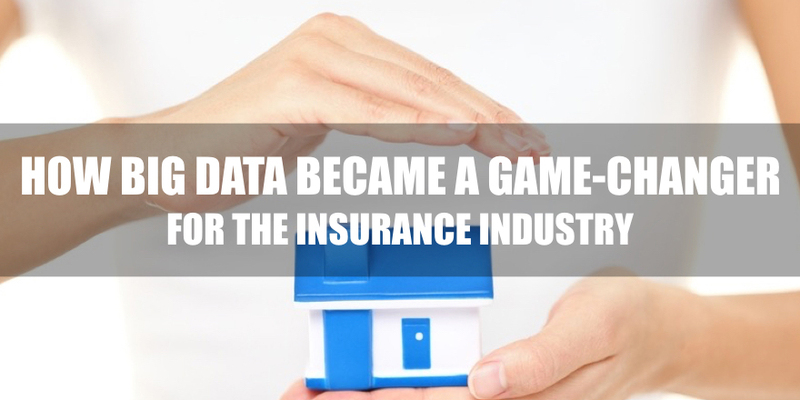 The insurance industry is one that can easily have a huge overhaul with the advancements of big data and its associated technologies. Analysis can be put to use when it comes to determining risk factor, validating claims fraud, as well as predicting the likelihood of getting into an accident. Estimating risk factor means determining how likely an individual is to get into an accident. These kinds of measures will lower the overall cost of insurance while reducing the number of accidents as it promotes being safer behind the wheel. For predicting accidents on the macro level, an analysis of big data statistics may help the company predict how many accidents it can expect, which is a good way to guess how costly future expenses will be. This is critical for making informed business decisions and lowering future premiums, which can help make a company seem more desirable when individuals compare car insurance quotes. Part of having insurance is having financial protection by way of filing an insurance claim, which is a formal request for payment after suffering an incident covered in the policy terms. It should go without saying that insurance sees its fair share of fraudulent claims. Using analytics can help address these kinds of losses before they happen. During the request, a company can leverage its own data to determine whether or not the claim is fraudulent. With real time monitoring, there is even better insight throughout the duration of the claim. Not only does this help the company itself, but it allows legitimate claims to go through and be fulfilled more quickly. As the industry changes, there are new risks involved with regulatory compliance. Because of this, the organization finds greater importance in risk management. With the help of big data, a company can create a policy based on conditions, exposure data, historical data and other information. Similarly, underwriters can price their policies based on specific granular factors instead of on the state level. Real time quotes can be provided. Typically, insurance companies have had to pull deeply from their pockets to adjust to reforms and new regulations. Companies in the industry are regularly examined, and any results of failing to comply can result in fines or worse. Big data can help the company monitor compliance dynamically, minimizing losses. Being able to process larger amounts of information from a variety of source to generate insights for businesses that allow certain action — the ability that is now quite simply referred to just as “big data” — is a huge trend making even greater waves. It’s already proven it can reshape entire industries, such as retail banking and consumer goods, and insurance companies aren’t far off at all. Exactly how relevant are these solutions to insurers? It turns out it’s very relevant, so it’s not surprising that more and more companies are turning to big data and implementing it in their strategies and general business practices. Still, there are plenty of hurdles along the way. Since they do not usually interact with customers, insurers won’t have the same rich data as a bank might through credit card transactions. Similarly, insurers only have low consistency data, and there are also customer concerns with regard to privacy that vary between regions. Because of this, big data in insurance has been a big lagged compared to other industries despite the number of new entrants whose sole job is to analyze big data to come up with actionable reports. On the plus side, early adopters already have been reaping the benefits of their decision by enjoying major savings and gaining a strong competitive edge.